The process of looking for the right stroller can be daunting. There are so many kinds on the market, each claiming to have fantastic features. Before you buy the first one that catches your eye, it's important to consider what stroller features will benefit you the most. Read on for our guide to choosing the right stroller for you and some of our top picks. Below are some questions to ask yourself before you begin shopping for your stroller. No stroller is perfect but you'll want to make sure you get one that fits your basic needs. What is your budget for buying the stroller? Strollers are a worthy investment but you don't want to blow all your money on one that doesn't fit your lifestyle. How often will you be using your stroller? Based on usage, you'll want to consider paying more for better durability. What will you be using the stroller for? 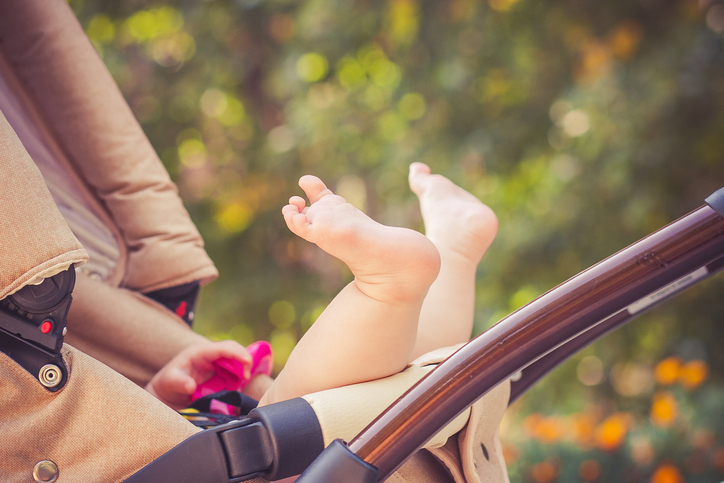 If you're planning on taking baby with you on a lot of shopping and errands, you'll want to make sure the stroller has cup holders and storage for you and baby. Will you be jogging with the stroller or just casually walking? For jogging, you'll want a more compact style but if you just plan on walking you'll need to consider a bigger frame. Also note if there are a lot of hills on your route. You'll want something you can easily push. Do you plan on taking the stroller on a vacation? Think compact. Are you planning on having another baby in the next few years? It may be worth it to consider a stroller that holds two. Do you need a compact stroller that can be easily stored or do you have room for a larger stroller? Below are five of our top picks for strollers. 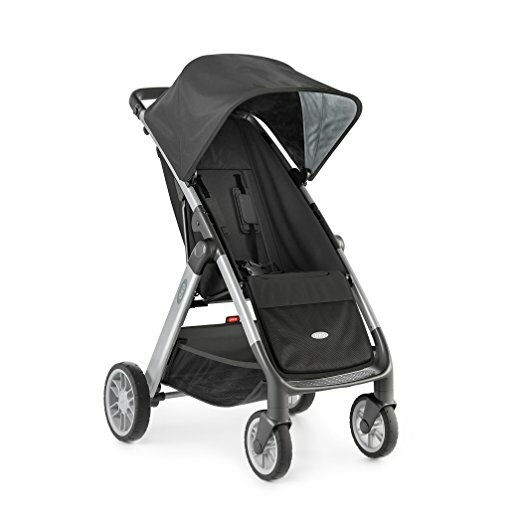 Features we love include a canopy with a peekaboo window that helps block out the sun, a stroller that stands on its own so you don't have to worry about it, and a five point harness that keeps baby safe and secure and gives you peace of mind. This stroller is a bestseller on Amazon is available in a variety of colors. 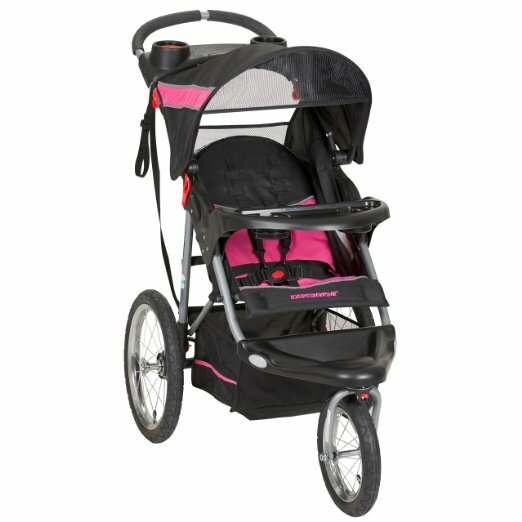 It's light and compact, has an adjustable canopy, easy to recline seat with a harness, and plenty of storage room. It's easy-to-fold frame makes it perfect for moms on the go. 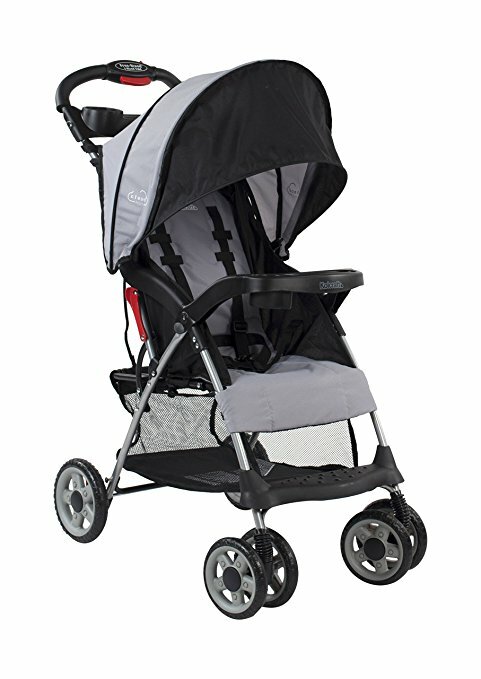 This stroller features large bicycle tires and a front swivel wheel that can be unlocked for low speed maneuvering or locked into place for jogging. It comes with both a parent tray with two cup holders and a storage compartment and child tray with cup holder. The multi-position reclining padded seat has a fully adjustable five point safety harness and tether strap, and fully adjustable canopy to block the sun and wind. The stroller folds with a trigger release into a compact fold for easy transport and comes with a storage basket. Footrest reflectors provide greater low-light visibility. 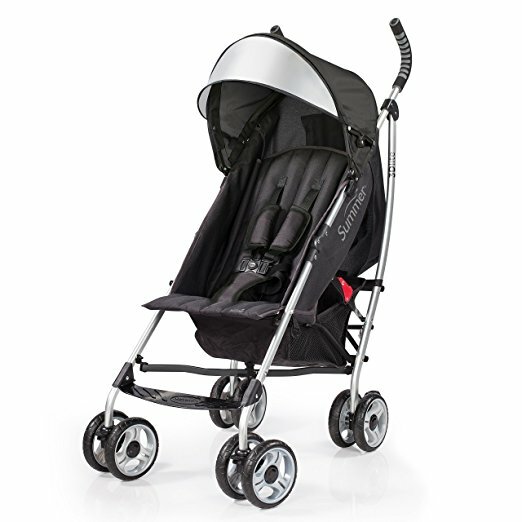 For parents looking for something more travel-friendly, this stroller is a great choice. At just under 12 pounds, it has all of the must-have full-size stroller features but in a smaller, more nimble design with an ultra-compact fold. The canopy with peek-a-boo window expands and then tucks away when not needed and the seat reclines for comfort. There is also a parent tray with two drink holders and extra storage area. This travel system includes both a stroller and a car seat. The three-wheel stroller provides ease of maneuverability. 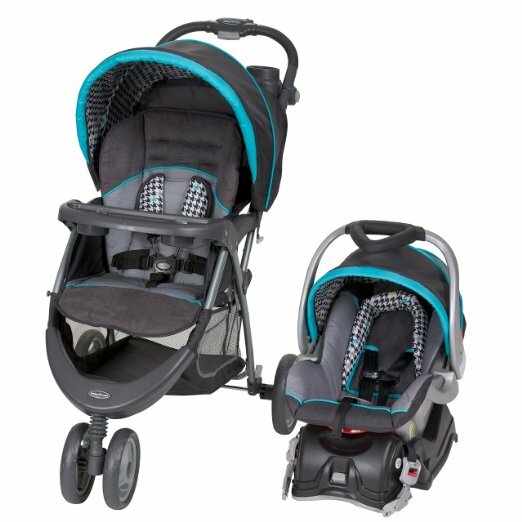 Both the stroller and infant car seat feature 5-point safety harnesses for maximum safety and protection. The stroller features a thick padded seat with multiple recline positions, a large, soft head support, a covered parent tray with two deep cup holders, a height adjustable handle, and a peek-a-boo window on the canopy. The car seat has been designed with energy absorbing foam for added protection and comes with a five-point harness to securely hold your baby in place, and a base that installs in your car. The rear-facing car seat holds newborns from five to 30 pounds, and up to 30 inches tall.